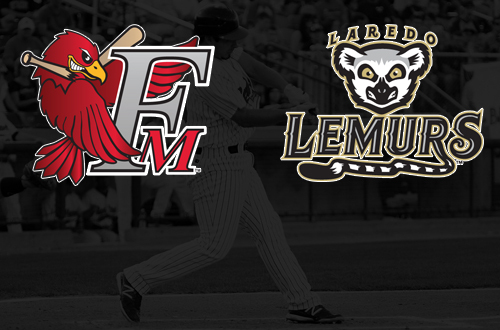 Former Texas A&M product David Newmann pitched the Laredo Lemurs to a 2-0 victory over the Fargo-Moorhead RedHawks on opening night at Uni-Trade Stadium. Newmann, who hasn’t thrown a pitch as professional since the start of 2011, was lights out for the Lemurs in the home opener going six, giving up two hits, while striking out four. The win gets Newmann off to a 1-0 start in the 2013 season. The offense for the Lemurs came early in the game with John Allen leading off the second with a single. Allen’s single was followed up by a Jon Gaston double to put runners on second and third. Mike Sheridan would walk to load the bases bringing up Brain Peterson. On a 1-2 count, Peterson hit a soft liner to left field that fell in, driving in Allen and Gaston to give the Lemurs a lead that they would treasure throughout the night. The RedHawks starting pitcher Joe Cruz threw five, giving up two runs, on three hits, striking out four batters, as he took the loss.